The gap between Diamond Platnumz and his baby mama Zari Hassan continues to grow wider. It all started with Diamond Platumz who was sharing a post on his wall for a female friend hailing all women out there who take care of their children in the absence of their hubby's, just like it was in his case, he asked his followers to tag that person, which they did. "Some managers need to do quality assurance before their artists utter nonsense for public whatever...when last did you see your kids. I bet they forgot all about you dummy. Think before you caption. Ediot. Mxuiiiii." 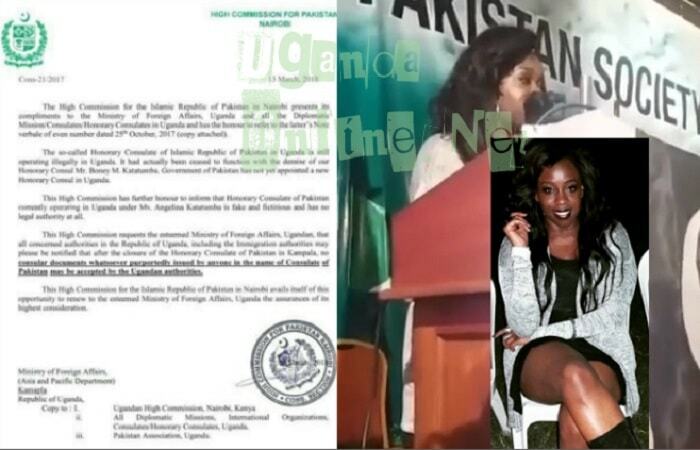 Trust the Bongo flava star, he shot back with a clip of him and two babes that included a Caucasian and Hamisa Mobetto, the mother of his other child, and strangely, he was k!ssing all of them as they sipped on their red wine in what looked like a hotel room. 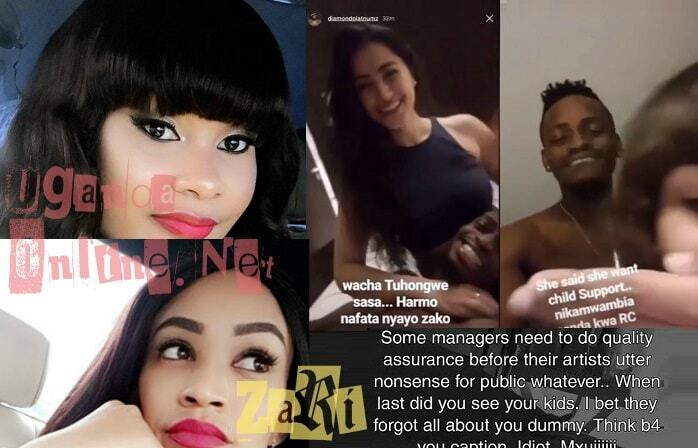 Hamisa who in the clip was telling Platnumz that she has no makeup, went on to taunt Zari that if she is looking for child support, she should also go to court..
We noted in these pages that it would not be surprising to see Diamond Platnumz settling with Hamisa after a Tanzanian court ruled that he had to pay child support to the tune of Shs 9Million per month. Hamisa Mobetto is not affected by Platnumz passionately kissing the Caucasian lady and is willing to settle for less, but not Zari that's why she called it quits when Platnmz bounced back to his ex Wema Sepetu.